Kolkata: The National Institute of Cholera and Enteric Diseases (NICED) here inked a deal with the Bengal Chamber of Commerce and Industry (BCCI) to undertake cutting-edge research on enteric diseases including hepatitis C, and see through translation of research outputs for community outreach. Also NICED, under the Indian Council of Medical Research (ICMR), is in talks with the West Bengal government to introduce a cholera vaccine ahead of the peak season as a preventive measure. The focus will be on public health intervention and advocacy in West Bengal. The memorandum of agreement aims to intensify research on diseases that have assumed or are expected to assume endemic proportions, such as hepatitis C (HCV) and rotaviral diarrhoea. “Under the agreement we will also work with state-run hospitals and other stakeholders so that remote areas in the state can be brought to attention. “The immediate focus is on hepatitis C and in the long-term this agreement is expected to facilitate community-based health interventions and developmental activities,” said Shanta Dutta, director-in-charge, NICED , a premier institute under the Indian Council of Medical Research (ICMR). Since Hepatitis C is under-diagnosed in India and diagnosis is expensive, the scientists will work to identify a group of people who are in need of treatment. “Working on particular group will reduce cost of diagnostics and treatments (direct-acting antiviral agents) as well. We want to see how the treatment changes the quality of life,” said Samiran Panda, senior deputy director and scientist at NICED. 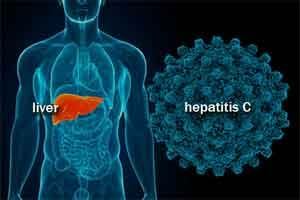 The incidence of HCV on a global scale is not well known, because acute infection is generally asymptomatic. What makes it even more alarming is that people with HIV infection are often affected by viral hepatitis and more people living with HIV have HCV than HBV (hepatitis B). “We will work with communities such as injecting drug users and haemophiliacs and eventually hope to develop a database. The broader role will be to generate awareness on the disease which many may harbour but are clueless,” added Panda. As for rotaviral diarrhoea (most common cause of severe vomiting and diarrhoea among infants and young children) which is prevalent even in developed nations, behaviourial links with the disease will also be brought under the purview of detailed research, said Panda. Ambarish Dasgupta, president, BCCI said the industry chamber will assist in mobilising funds from potential funding agencies and boost advocacy.